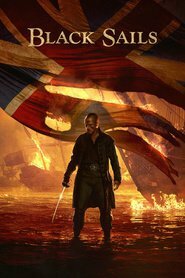 The pirate adventure “Black Sails” centers on the tales of Captain Flint and his men and takes place twenty years prior to Robert Louis Stevenson’s classic “Treasure Island”. Flint, the most brilliant and most feared pirate captain of his day, takes on a fast-talking young addition to his crew who goes by the name John Silver. Threatened with extinction on all sides, they fight for the survival of New Providence Island, the most notorious criminal haven of its day – a debauched paradise teeming with pirates, prostitutes, thieves and fortune seekers, a place defined by both its enlightened ideals and its stunning brutality.